The purpose of this page is to ensure the consistent application of the First Supply identity elements. Please use as a guide when producing any company materials. First Supply is the communicative name for the company. First Supply LLC is the legal name for the company. This name will be used on all legal documents, forms and stationery items. The legal name will be listed as shown, WITHOUT any comma separation. The First Supply Logotype is based on a typeface and has been modified to identify the First Supply company. The Registered Trademark symbol ® must be shown with the Logotype. The Logotype can be used alone or with the Market Segments listing [see below]. The logotype may be used with the five Market Segments listed under the mark: HVAC, Plumbing, Waterworks, Industrial PVF and Well & Septic. Varying shades of Gray may be used to show contrast in type, objects, lines, backgrounds or other graphic elements. The Helvetica Neue font family is made up of 51 fonts, which includes 9 weights in 3 widths (normal, condensed, extended widths and an outline font based on Helvetica 75 Bold. 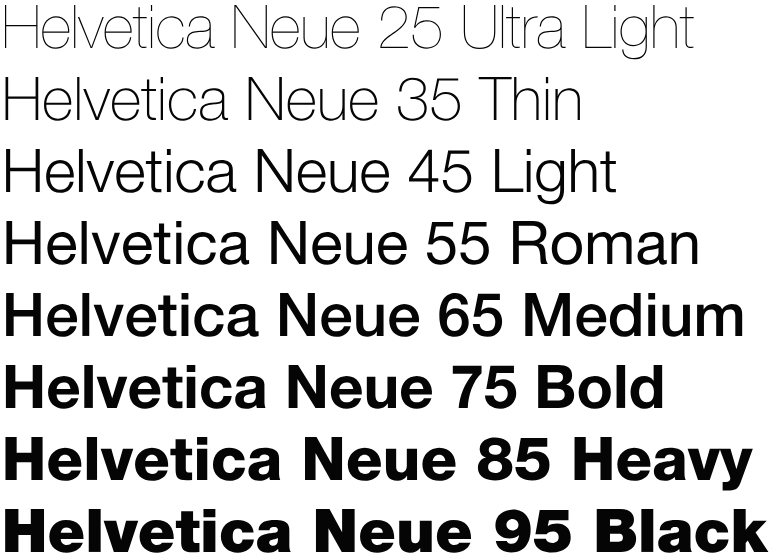 - Helvetica Neue is the preferred font for all communications. - The alternative fonts are Arial and Franklin Gothic Book, should Helvetica Neue not be available to the user.